Larger in stature than other selections of A. edmundsii, 'Big Sur' can grow 3 to 5 feet high and wide. 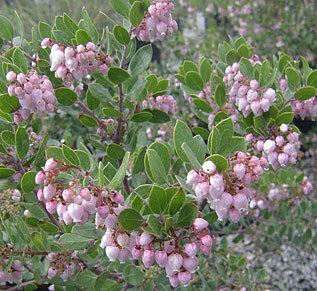 It makes a dense mound with the typical cinnamon bark and masses of pink flowers in late winter and early spring. Sun, well drained soil, occasional to little supplemental watering once established.